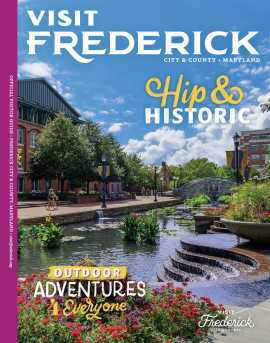 Scattered throughout Frederick County are many unique and historic Main Street communities, where the downtown scene is more vibrant than ever. Big box stores take a back seat to mom and pop operations, restaurants serve up farm fresh meals, and visitors discover things they could never have found otherwise. 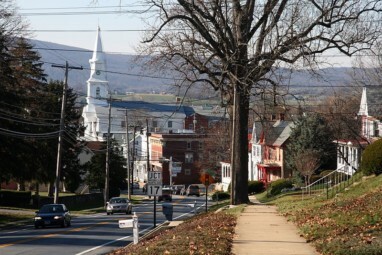 Just below South Mountain nearing the Potomac River, Middletown is steeped in history and charm. 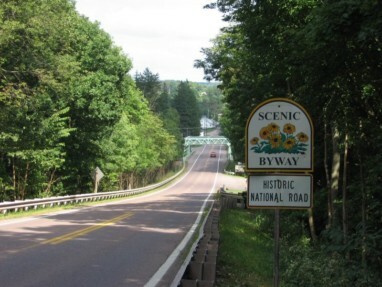 Revolutionary and Civil War troops passed through traveling along the Historic National Road, now a National Scenic Byway. Today quaint local shops and restaurants are scattered among downtown homes. Community events and larger festivals are common and visitors are always welcome. While you could certainly explore Middletown any time, here is how you might spend a Saturday in the summer! This historic building was home to Main’s Ice Cream and Butcher Shop over 100 years ago. 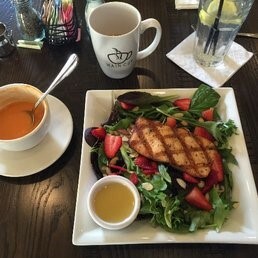 Check out a Middletown landmark while you enjoy a delicious meal and get your caffeine fix. If the weather is nice, relax in the sun of their outdoor patio. When you are finished, stroll down Main Street, stopping in any shops that catch your attention! Hop on this scenic byway and enjoy a small portion of this 700 mile span of road. The road played a crucial part in the country’s westward expansion. Be on the lookout for signs and landmarks showcasing stories about the road and its importance to the people of the 1800’s. Take a slight detour as you exit The Main Cup to view the Zion church, with its steeple towering over Main Street. 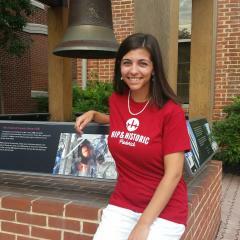 No, this isn’t the Washington Monument in DC! 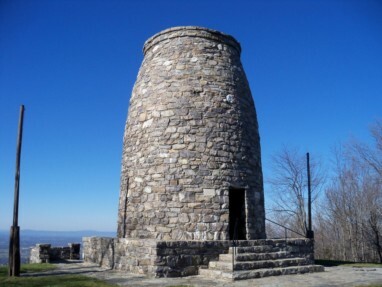 The very first monument dedicated to George Washington is located on the top of South Mountain. The beautifully manicured trail leading from the visitor center to the site is short, and not as rigorous compared to the two mile march up the mountain that citizens took to create the attraction years ago. Like the monument in DC, visitors who reach the top of the monument are rewarded with an incredible view. Take a guided tour of this working farm to learn how fresh milk is made, or just visit the cows on your own. 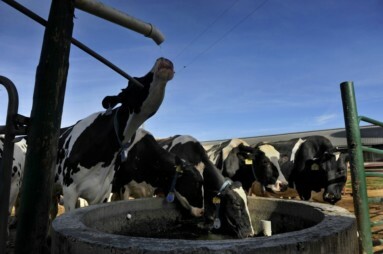 Visitors have a chance to feed the calves and to watch the cows being milked. When you’re finished making friends with the creamery’s residents, check out Karen’s Kountry Store where you can sample and take home some of the fresh dairy products you just witnessed being made. End your day with a meal at Dempsey’s Grille. This hometown diner on Middletown’s Main Street is full of scrumptious Maryland specialties. 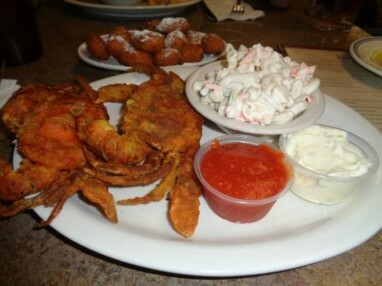 Enjoy soft shell crabs, beer battered cod, and many other local favorites! 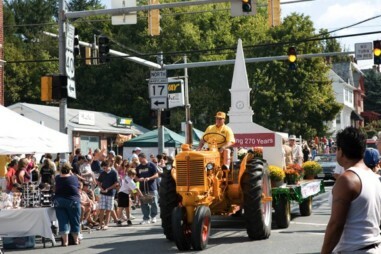 If you happen to be visiting Middletown in September, plan to add the Middletown Heritage Festival to your itinerary! The festival is Middletown’s cornerstone event, celebrating its history and continuing a long standing tradition. The 10:00 parade on Main Street is a great way to start your morning and entertainment continues throughout the day.